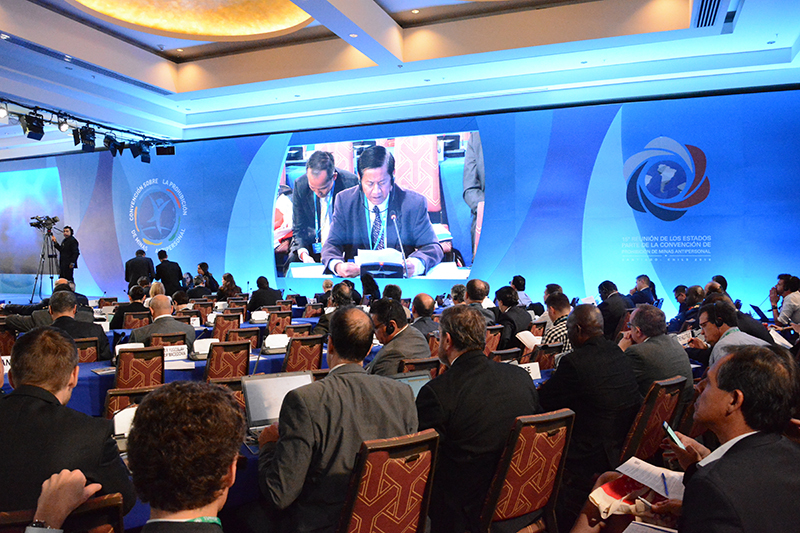 States-parties to the Mine Ban Treaty gathered in Santiago, Chile, from Nov. 28 to Dec. 1 to continue efforts for achieving a mine-free world. Although mine use has declined significantly, three states outside the treaty, as well as nonstate armed groups in 10 countries, continued to use landmines according to the annual Landmine Monitor report. In 2015, casualties due to landmines, cluster munition remnants, and other remnants of war rose to at least 6,461, a decade-long high, the International Campaign to Ban Landmines, a civil society coalition, said in the report issued just prior to the meeting. Poland, the most recent NATO member to join the treaty, announced it had completed ahead of its June 2017 deadline the destruction of its stockpile of more than one million landmines. Under the treaty, states have four years to complete stockpile destruction once the treaty enters into force for that country. At this year’s annual meeting, to be hosted Dec. 18-22 in Vienna, states-parties will celebrate the 20th anniversary of the treaty’s opening for signature, on Dec. 3, 1997.